With the New Year come new rules attached to pay increases in Albany as a state committee report outlining salary increases over the next three years for state legislators and other officials takes effect. However, there are stipulations attached to pay increases which lawmakers on both sides of the aisle do not approve of, while a lawsuit in front of the state Supreme Court questions the constitutionality of the report and whether the changes take effect is still uncertain. A report was filed by the four-member special Compensation Committee Dec. 10, 2018, ensured that the changes would take effect in 2019, and lawmakers across the state are now receiving a gradual pay increase in their annual salaries from $79,500 to $130,000 over the next three years, a move that will make state lawmakers the highest paid in the nation. On Dec.14, the right-leaning Government Justice Center filed a lawsuit with the state Supreme Court in Albany, arguing the move by the commission was unconstitutional and the commission not only acted outside the boundaries of the state Constitution, they believe some of the stipulations attached to the pay increases outlined in the report aim to fundamentally change how officials in Albany do their jobs. ...And New Yorkers have not consented to be governed by such fulltime legislators under their Constitution. What a legislator chooses to do with his or her time when the Legislature is not in session is that person’s business, subject to proper disclosure rules and transparency. It is not, however, the business of New Yorkers to be paying them for that time without having a say on the matter. The Compensation Committee was established as a part of a piece of the overall legislation passed with last year’s budget. Under the law, unless lawmakers had returned to Albany by the end of December to overrule the committee’s report, the plan to implement pay increases went into effect on Jan. 1. Raises are also given to other state government officials. Over the next three years, the annual salary for the governor will go from $179,000 to $200,000 next year, making Gov. Andrew Cuomo the highest paid governor in the country. By 2021, the position will pay $250,000. Plus, Lt. Gov. Kathy Hochul would see her yearly pay increase to $190,000 from $151,500 next year, also the highest paid in the nation, as the position is expected to pay $220,000 by 2021. Both the offices of the Attorney General and the state Comptroller are seeing a pay raise over the next three years under the commission’s report, as well. Politically, both Democrats and Republicans are on board with the pay hikes in theory, but it seems they are concerned the stipulations created by the committee place financial burdens on lawmakers and overstep what its members are allowed to do under state law. Democratic state Assembly Speaker Carl Heastie said in December he believes limiting outside income for lawmakers could prove to be problematic for those who have been forced to take second jobs in other parts of government or in New York City government to help offset the costs of living, travel and child care. Much like the Government Justice Center, outgoing Republican state Senate Majority Leader John Flanagan told media outlets he feels the commission has “overstepped its authority” by linking pay raises and income restrictions together. Assemblywoman Barbara Lifton (D-Ithaca), one of two state legislators representing Cortland County in Albany, said she feels a salary increase for state officials is long overdue, but is against the commission’s decision to attach the raises to limits on outside income and getting rid of limiting stipends for legislators. Lifton, who was first elected in 2002, said her salary is something that rarely comes up when talking with her constituents about the issues concerning them. When it does, though, people are surprised to hear she and her constituents have not seen a salary increase in more than a decade. State legislators are the voice of the people around this state,” she said. “We take their voices to Albany in many different forms. It’s a wonderful job, it’s an exciting job, but it’s also draining and stressful and it ought to be adequately compensated. We should show respect for all working people and take into account the work they do no matter where they are in our society. Outside of state judges, who received a 27 percent pay increase back in 2011, other state officials outside of the Legislature deserve to see an increase in their salaries, she said. In fact, Lifton said she thinks people might not want to view the salary increases as raises in the traditional sense. Instead, she urged people to think of the bump in salary as less of a reward for long-time legislators and as more of a much-needed cost of living adjustment, or COLA, which is long overdue for legislators and other state officials in New York. Analysts have determined an appropriate COLA for legislators would be around $125,000, Lifton said, so the 3-year $50,000 salary increase is a good start. When it comes to stipends, which can range from $10,000 to $25,000, Lifton said she and her colleagues work hard to make state law and feels additional compensation for their work is only right. The main issue being raised by the Government Justice Center is the constitutionality of giving the committee the authority to produce the legally-binding report in the first place. Lifton said she and some of her colleagues in the Assembly believe the committee acted within the bounds of state law. However, Lifton said the language used in the resolution which ultimately formed the committee did not give its members the ability to specifically limit lawmakers’ outside income, cut stipends, and attach pay raises to an on-time budget like the report demands. 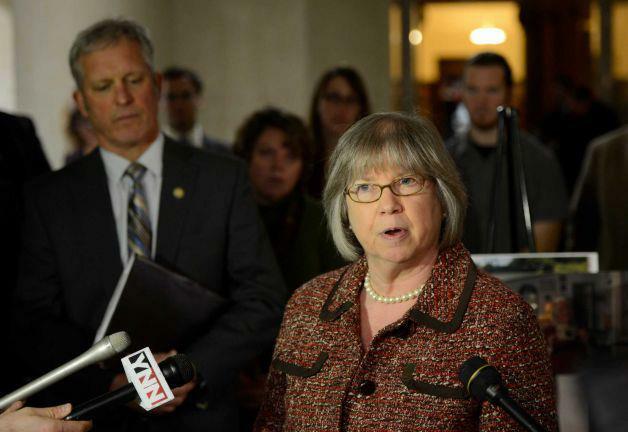 Using the state budget as an example, Lifton says she thinks directly linking the pay raises to the passage of any type of legislation is a violation of public officers law—and she worries doing so will give constituents the perception they’re being paid to support or reject bills, regardless of a lawmaker’s actual position. Lifton also noted how pay increases for legislators are linked to the passage of the budget while the governor’s salary hike is not. Not only is the definition of what a late budget is unclear, the governor already has a great deal of authority they can wield during budget negotiations. Even with the lawsuit, there is no indication that the commission report will be invalidated. Lifton said lawmakers are unsure of what would happen should the case come before the state Supreme Court before the April deadline to pass a new budget. If it were up to her, though, Lifton said she’d ultimately oppose the committee’s report and find some way to enact salary increases without stipulations. For her, it all comes down to paying people fairly for the work they do.